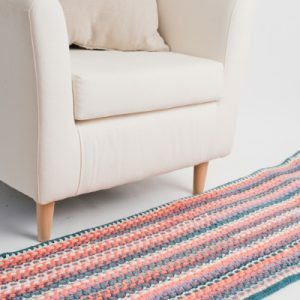 You’ll love how easy it is to make you own crochet rug patterns for any room of the house – in fact, if you can crochet a blanket or even a scarf, you can crochet a rug. 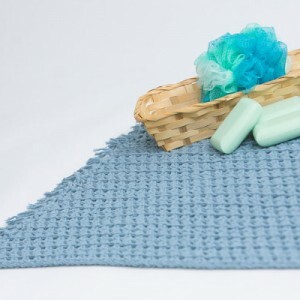 Crochet rugs are easy to work up and typically feature more textured crochet stitches and more durable yarn – think worsted weight at the minimum and thicker stitches. As with any project, these rug patterns vary in difficulty from beginner-friendly to more complicated depending on the type of stitches used. No matter what, though, the construction of these rug designs is pretty standard, so when looking for a pattern to make, just look for stitches you’re confident making and go for it! 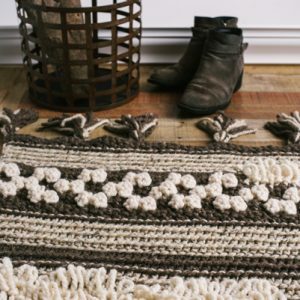 This rug is created using a 3-weight yarn that is tripled to make it cushy and quick to crochet. You’ll love how effortlessly this design fits into your home. Meticulously handwoven by a bride’s female relatives, a Moroccan wedding blanket is mindfully crafted with wishes of good luck for the new couple. Inspired by the rich designs exquisite details found in a classic handira, this Moroccan Wedding Rug will create a traditional keepsake for any home. This rug’s design was inspired by the beautiful San Juan mountains of southwest Colorado. 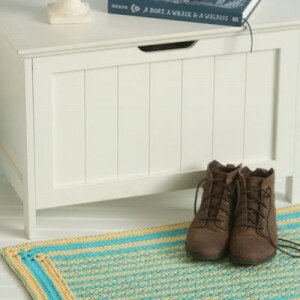 Textured with bobble stitches and adorned with knotted fringe, the bohemian feel of this classic rug is just what your home has been waiting for. Welcome the warmer days with a sunrise-inspired rug—a perfect addition to any kid’s room. The round shape and simple half double crochet stitch will be a fun and easy change from your usual projects. Pair yellow and blue together to make a rug that will brighten any room in a subtle, warm way. This rug is great in the kitchen, by your front door, and any room in your home. 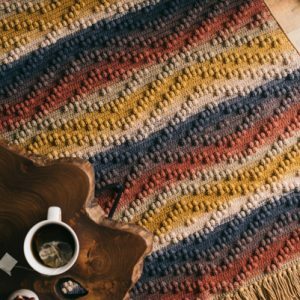 This easy-to-make rug is the perfect thing to feel underneath your feet first thing in the morning. To complete the look, add some short and sassy fringe.